With a glut of industrial space in the pipeline, developers are rolling out tempting amenities and incorporating the latest tech in order to lure long-term tenants. Gone are the days when industrial developments were little more than drab gray boxes ruled by manufacturing titans. When MEGA@Woodlands opened its doors in the first half of the year, the facility illustrated the upheavals in Singapore’s rapidly changing industrial property landscape. The new facility in Woodlands features a gym with shower facilities, as well as a dedicated business centre with several meeting and conference rooms of different capacities. The gym will be comprehensively equipped with cardiovascular equipment and free weights; it also offers a complimentary shower. The facility also boasts a jogging trail and a park connector, together with landscaped pavilions. Across Singapore, industrial property developers are realising that integrating the latest technology and amenities into their properties are crucial to retain and attract tenants. “Industrial spaces that are older and further away from transportation nodes tend to face greater difficulty in retaining tenants as they may be physically obsolete. Additionally, industrial buildings that do not support the national move towards ‘Industry 4.0; may also be faced with challenges,” says Ong Choon Fah, CEO of Edmund Tie & Company (ET&Co). “The industrial environment has changed over time and will continue to change in the future. As a result, real estate will also have to incorporate such changes to suit the needs of industrialists. In particular, the growth of urban logistics will be a sector that has high growth potential as e-commerce grows exponentially,” Ong adds. Developers are rejuvenating their properties in anticipation of the demand from newer industries. For instance, AA REIT recently revealed a $13m makeover for NorthTech, its four-storey light industrial building in Woodlands. The project is part of the REIT’s numerous asset enhancement initiatives launched over the past few years, which includes the redevelopment of 30 Tuas West Road and 20 Gul Way. “As firms increasingly adopt Industry 4.0 initiatives such as artificial intelligence, the internet of things (IoT), automation and robotics, we expect demand for higher specification industrial facilities that can accommodate these requirements such as higher power and floor loading capacity to grow. The government’s move to push Singapore up the value-add and value-creation chain e.g. R&D is also expected to contribute to the demand for such higher specification facilities, such as business parks,” explains Adrian Toh, Director, Industrial Sales and Leasing, JLL Singapore. Brenda Ong, Executive Director of Industrial & Logistics Services at CBRE, notes that highly sought-after industrial properties include ramp-up logistics developments, factories with high power and cooling capacities and integrated industrial developments by JTC. “With the ongoing industry transformation in Singapore, we see more tenants and end users moving towards smart logistics facilities which can cater to their need for efficient inventory management and higher operational efficiency. We also see more interest for sites with longer tenures as it justifies the high initial fixed capital outlay,” she says. Toh warns that changes to Singapore’s manufacturing landscape had rendered some of the older facilities with outdated building specifications functionally obsolete. “At the same time, JTC’s stringent subletting and lease assignment rules, as well as anchor tenant requirements has made it more challenging for third-party facility providers such as developers and REITs,” he says. Apart from high-tech spaces, industrial tenants are also on the lookout for amenities which will help them boost operations as well as attract and retain talent. “Newer industrial spaces that cater to the changing needs of industrialists as they transform and improve their manufacturing processes are also highly demanded. Industrial spaces now include many additional facilities, such as a gym or childcare facilities to attract talent and cater to the changing business environment of industrialists,” says ET&Co’s Ong. She adds that more information technology and media companies may choose to locate in newer business park developments which offer a wide variety of facilities such as day care and fitness centres. Moreover, a government survey in 2017 showed that there were 470 child care centres located in workplaces, such as commercial premises, government buildings and industrial estates. Amongst is Sherwood Childcare, which caters to the busy parents working at JTC’s bustling high-tech industry in Ayer Rajah. First built in the 1980s, Sherwood Childcare now serves the needs of parents from surrounding neighbourhoods such as Clementi, Dover, and Bouna Vista, just to name a few. The trend of creating livable industrial spaces is also reflected in JTC’s ongoing projects, such as the Jurong Innovation District and the Punggol Digital District. The Jurong Innovation District is a next-generation development that will host smart factories, provide new platforms for innovation, and facilitate cross-industry collaboration. The district will also be a living lab where the latest ideas and technologies will be test-bedded and deployed; catalysing new, cutting edge industry clusters and providing a platform for creation and discovery. Meanwhile, the Punggol Digital District will be a vibrant mixed-use business district which is integrated with the new Singapore Institute of Technology campus. Housing key growth industries such as digital and cyber security, PDD aims to foster strong collaborations between industry and academia, as well as facilitate test-bedding and prototyping of new innovations. The district will feature green links to the waterfront, as well as public spaces for the community to gather and enjoy, providing an attractive work-live-learn-play environment. Another trend which is fast becoming the norm is consolidation and rationalisation. “The ‘servicisation’ of the manufacturing industry is increasing the need for more flexible industrial space. In the longer term, the blurring of lines between manufacturing and services would lead to the demand for more flexible use of industrial space,” explains JLL’s Toh. “Recognising this, JTC is test-bedding a multi-tenanted building on a site zoned Business 1-White in Woodlands to support manufacturing companies in co-locating their service-driven activities such as R&D and after-sales support alongside their manufacturing operations. It is understood that a wider range of uses will be allowed,” he adds. Under this pilot scheme, the JTC will allow a wider range of uses will be within the property, including industrial-related uses that are closely linked to or provide critical support for the industrial sector. For example, engineering and industrial design activities that are currently not allowed in an industrial development would be allowed in the Woodlands pilot development, given that these activities play a key role in the manufacturing value chain. However, clear-cut commercial and other non-industrial activities will continue to be disallowed within the Business 1 component. “We recognise that business structures and needs are evolving. More manufacturing companies are shifting their business models from production-led to service-driven activities, or agglomerating their functions across value chains – some are growing their R&D, prototyping, sales/after-sales and other ‘services’-type activities, and do so alongside their core manufacturing activities so that all functions across their product development cycle are well-integrated,” the JTC said in a statement. 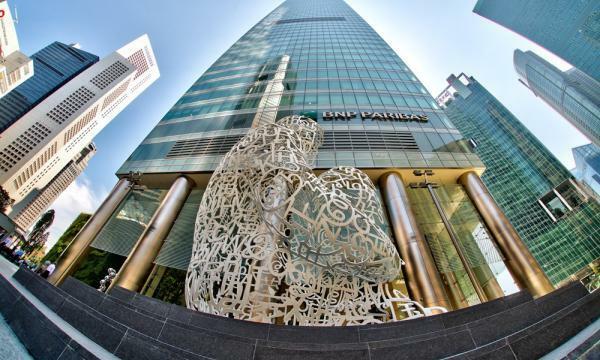 Another example is the upcoming Trendspace, which will be Singapore’s first high-rise multi-tenant development for furniture and furniture-related companies. “The clustering of furniture-related stakeholders at Sungei Kadut will allow furniture companies to benefit from resource-sharing arrangements and potential collaborations. 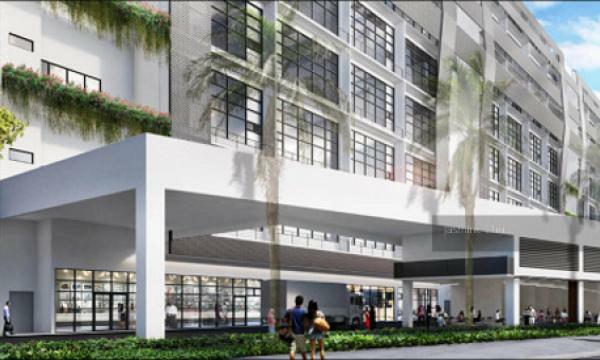 As part of the Singapore Furniture Industries Council’s (SFIC) Experience Centre in the building, the development will also feature export showrooms, a training institute, co-working spaces and an atrium space for industry-related events and exhibitions,” says ET&Co’s Ong. Trendspace is made up of large modular factory units. It is located in Sungei Kadut, a region that is well-known as an industrial estate for furniture-related companies. Developed by the JTC, Trendspace will allow companies to share resources, reduce wastage and add value towards each other’s business. Meanwhile, Hong Kong-listed WuXi Biologics, a leading global open-access biologics technology platform company offering end-to-end solutions for biologics discovery, development and manufacturing, will invest $80m and hire approximately 150 employees to establish a state-of-the-art biologics manufacturing facility in Singapore. The new manufacturing facility, supported by the Singapore Economic Development Board, is the company’s first overseas site in Asia and second site outside of China. The industrial property market will continue to grapple with increased supply and soft investor sentiment. However, there are some bright spots which will lead the sector in coming months. Apart from high-specification properties, industrial buildings approved for food handling are also among the sector’s biggest winners, says Alan Cheong, senior director at Savills Singapore. “These spaces are located within the food zones. The push by the authorities to up productivity levels in the Food and Beverage sector (F&B) is shifting food preparation activities from on-site to offsite Central Kitchens. These Central Kitchens are now in hot demand by both large F&B operators for in-house food preparation and set-ups that purvey either a general or bespoke product to a myriad of F&B customers,” he says. In fact, data from Savills show that rents for industrial properties with such approved use are firm and, depending on location, can range from $2.50 per sq ft to $3.50 per sq ft per month, much higher than the average $1.14 per sq ft per month recorded for general industrial space. “The market is not all doom and gloom with a narrow spectrum of bullishness found in the food preparation sector,” Cheong noted. “Sought-after industrial properties include ramp-up logistics developments, factories with high power and cooling capacities and integrated industrial developments by JTC. Integrated industrial developments encourage companies to co-locate, which will lower operating costs and boost productivity,” CBRE’s Ong says. “We have also observed a growing interest of e-commerce players for integrated logistics facilities that will increase efficiency, reduce costs and enhance flexibility. Such facilities could offer storage solutions, automated sorting and last-mile services such as self-collection and delivery – all under one roof,” she adds.